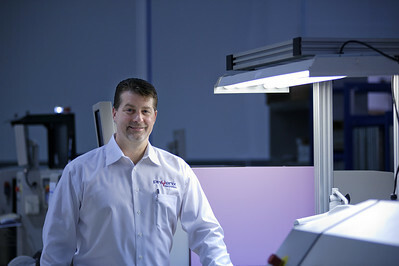 Daniel J. Murphy - dmurphy@shawmedia.com Co-owner of Phoenix Manufacturing Duane Benn is rebuilding his business after a bad relationship forced their previous company to go under. Benn and his wife Rhonda, bought their equipment back from auction and have begun the rebuilding process with one of their best quarters in recent memory. 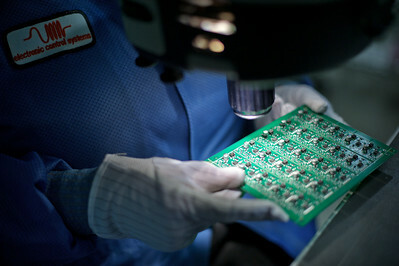 Daniel J. Murphy - dmurphy@shawmedia.com Carolyn Gliniecki of McHenry performs a final quality assurance inspection on a circuit board Tuesday February 14, 2012 at Phoenix Manufacturing in Crystal Lake. 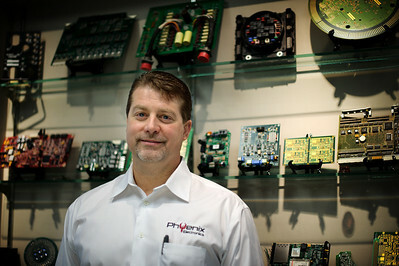 Daniel J. Murphy - dmurphy@shawmedia.com Linda Walczak of Crystal Lake programs and stacks circuit boards Tuesday February 14, 2012 at Phoenix Manufacturing in Crystal Lake. Co-owner of Phoenix Manufacturing Duane Benn is rebuilding his business after a bad relationship forced their previous company to go under. Benn and his wife Rhonda, bought their equipment back from auction and have begun the rebuilding process with one of their best quarters in recent memory.